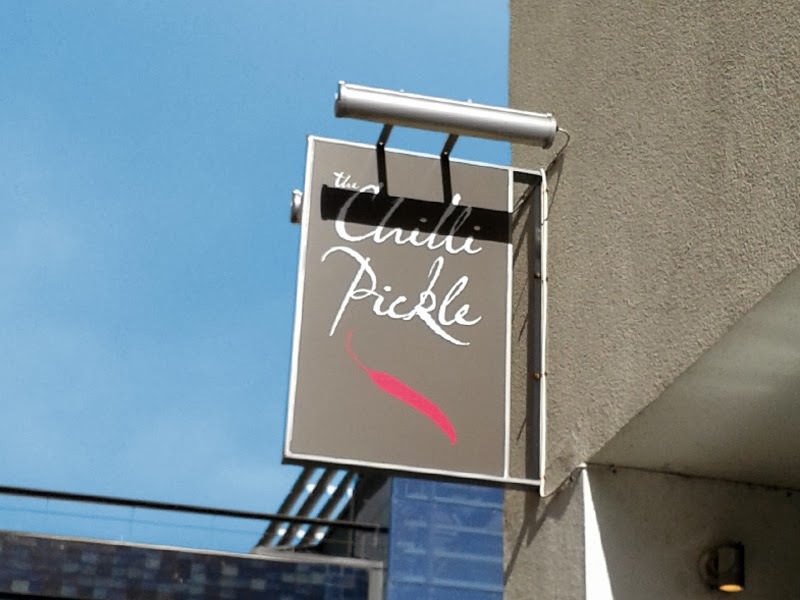 My last visit to The Chilli Pickle had been long overdue, it must have been a year or so, with only their fabulous take away service to tide me over. Kids. They ruin your social life. 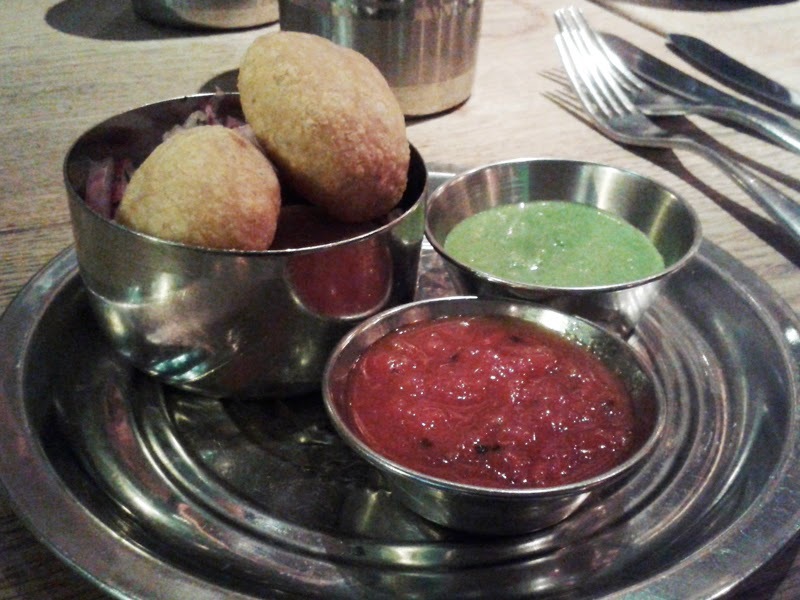 The Chilli Pickle have always been a bit of a gem, emerging just as the restaurant scene in Brighton was getting exciting. Now well-bedded into their current larger location, and with an armful of awards that has brought national attention (finally) to the city, they really did set a new benchmark for dining quality here. Not that I was too surprised, it was great to find that they have not become complacent or let the attention go to their heads. My meal was as enjoyable as all of my visits. 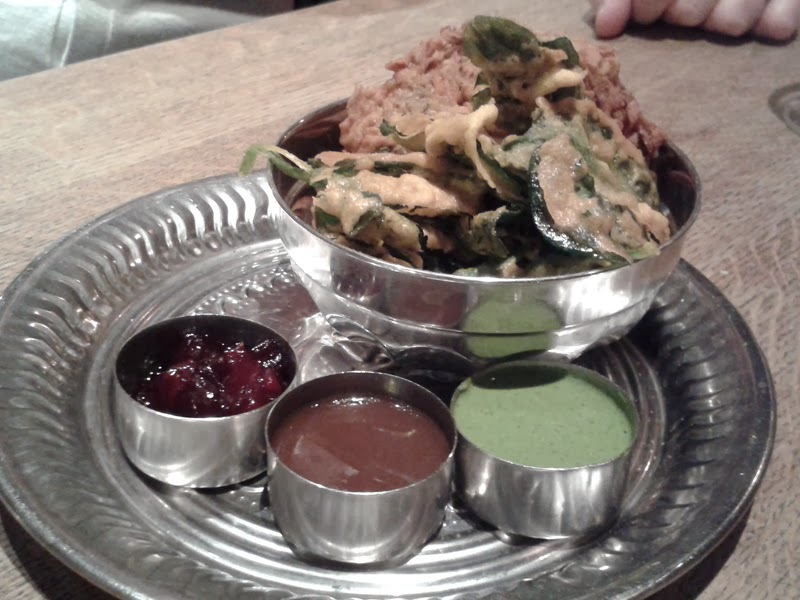 The menu has expanded somewhat but the core favourite dishes are still there, with seasonal refreshes, like the whole sea bream, the tandoori platters and momos. I desperately try not to order one of the tandoori platters, wanting to try something new, but they make it so darn hard to resist. I think at one point when I was frequently visiting I'd told them to refuse to serve it to me! However, seeing as I haven't had a fix for a while I couldn't help myself. I did go for something new for a starter though, the dal kachori which are tiny pastries filled with a dense, mildly spiced dal filling. Although they were quite timid on their own, they were perfect with the acidic mint sauce and a contrasting fruity wedding chutney. 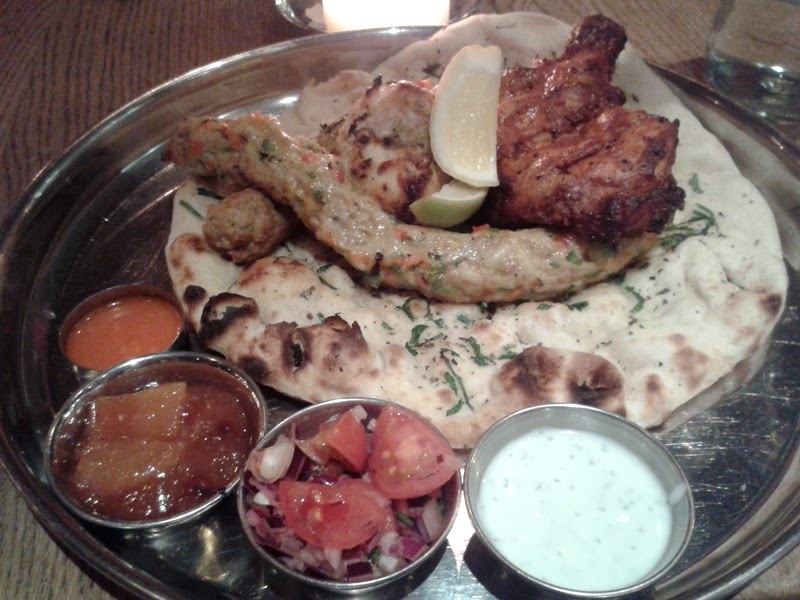 The tandoori poultry platter itself didn't disappoint. Oh, it's just all so tender and nice to have a taster of different meats and textures. I like food you can get stuck into and with a huge herb naan, hot chilli sauce, sweet chutney and refreshing raita, it's never a boring, monotonous dish. Although the platters here evolve with the seasons, you always get a few cuts, this time an oyster leg, tikka breast and a turkey Seekh kebab that snakes around the whole plate which I'm always amazed I can polish off. Yet always do. Noone on our table of five had anything to complain about. To be honest, with the food here, you could blindfold yourself and throw a dart at the menu and you would have made a good choice. Tandoori, Dosa, Kebabs, Curries or Biryani...who cares? I'd eat it all happily. Indian sweets generally are not really to my taste, apart from Gulab Jamun (which I was pleased to see on the menu still), so I don't often indulge in dessert here. I did notice a good selection of homemade ice creams which I haven't really explored before so thought Id give them a whirl. I loved the presentation (the attention to detail of all their crockery is wonderful) of the stand holding my cone with a huge scoop of raspberry lassi and white chocolate ice cream. A tiny cube of Mysore Pak sat on top. 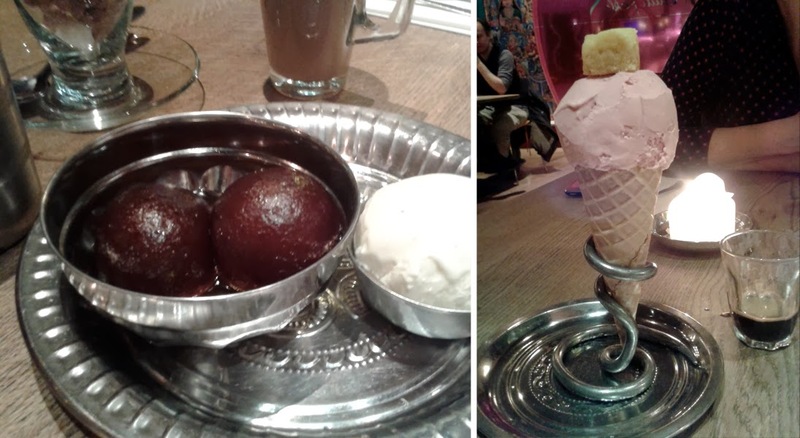 All of their ice creams come with a matched Indian sweet, also made in-house, which is a nice touch. This was a perfect palette refresher after the main food and look forward to trying more of the flavours out. I probably don't need to tell you how good this restaurant is anymore, its reputation and awards speak for it, but I can tell you that the heart of the food and the passion that was there in the more humble premises along Meeting House Lane where it all started is still very much there. A Brighton treasure. Find it on The Graphic Foodie Black Book of Brighton dining on Pinterest Maps.